The life of the most glamorous plane ever built, as told by the people whose lives she touched. Narrated by Sophie Okonedo. The life of the most glamorous plane ever built, told by the people whose lives she touched. We uncover rare footage telling the forgotten row between the French and British governments over the name of Concorde that threatened to derail the whole project. On the eve of the opening of Bristol's multi-million-pound aerospace museum, a cast of engineers, flight technicians and frequent fliers tell the supersonic story aided by Lord Heseltine and Dame Joan Collins - and we meet the passenger who shared an intimate moment with The Rolling Stones. Did you know Concorde could have been called Alliance or Europa? The 1960s project was a collaboration between the French and the British, and designers wanted a name that had the same meaning in both languages. Concorde: A Supersonic Story follows the story of the most glamorous aeroplane ever built - told by the people whose lives she touched. We uncover rare footage telling the forgotten row between the French and British governments over the spelling of Concorde which threatened to derail the whole project. On the eve of the opening of Bristol's multi-million pound aerospace museum, a cast of engineers, flight technicians and frequent fliers tell the supersonic story aided by Lord Heseltine and Dame Joan Collins. We also meet the passenger who shared an intimate moment with the Rolling Stones. This is about the remarkable story of the creation of Concorde and how the French and British governments joined forces to deliver this ambitious aircraft project. We look at the history behind its creation and the Anglo-French wrangling involved in getting it off the ground. 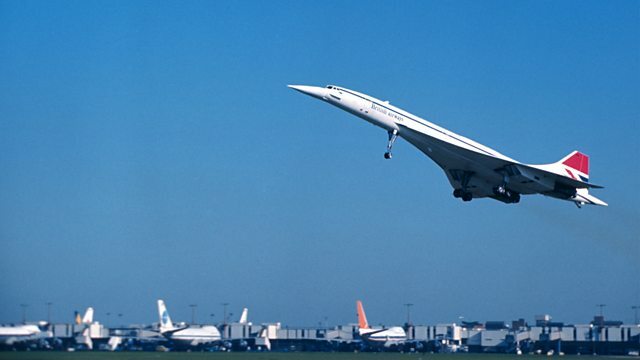 There was almost a Concorde-Brexit situation which arose due to the spiralling costs which prompted the British government to consider pulling out. We show the teams of engineers from both sides of the Channel had to learn each other’s language and lunchtime customs, and became quite friendly unlike the politicians who argued over the ‘e’ on the spelling of Concorde. Two prototypes of everything had to be produced, one for France and one for Great Britain, including the final aircraft. We discover the stories of the two brave test pilots, including the British pilot was a former WWII bomber pilot, who risked their lives flying the prototypes for the very first time. Concorde was seen as the future of air travel. At the opening ceremony in France, the flight attendants were even dressed for space travel!